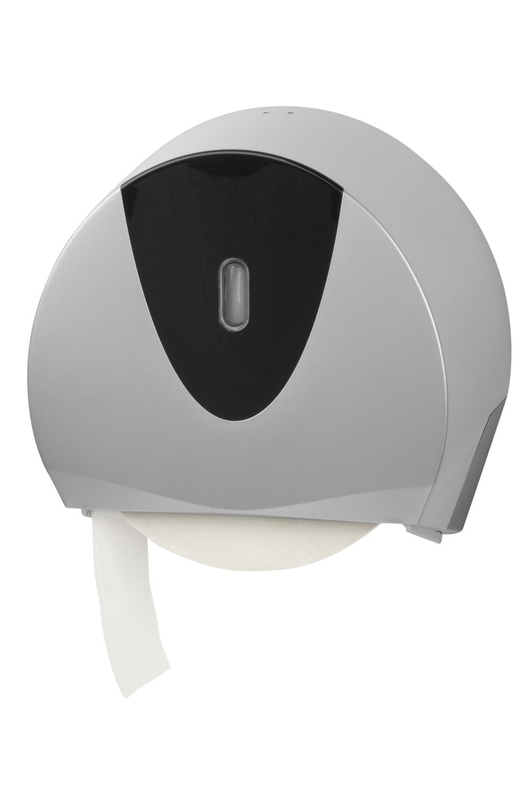 Jumbo Ellipse is a toilet roll dispenser ideal for high to medium traffic environments. 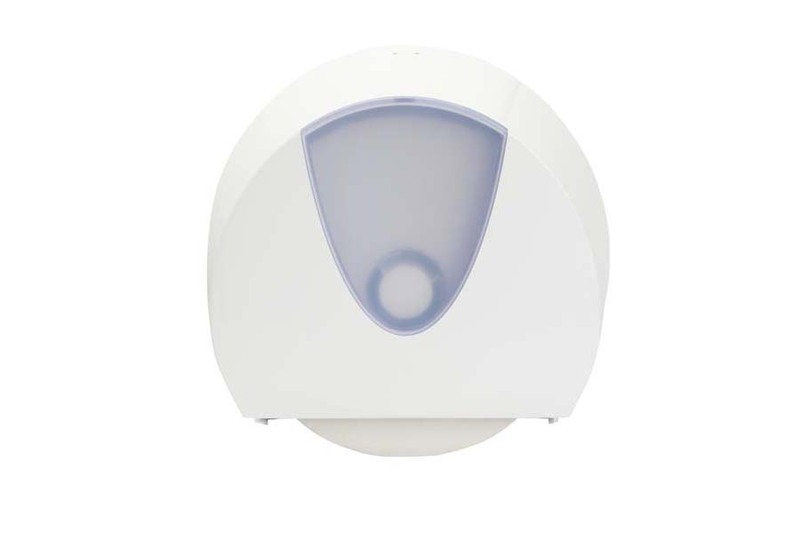 The unit accommodates any roll with a core diameter of 2¼ to 2¾ in. and an external diameter up to 11 inches. Features such as a practical inspection window have been incorporated to aid service, while a removable braking system enables consumable control and minimizes waste.